They don't have to make payments as long as they live in the home, so few ever worry about foreclosure. But a bank formerly run by Steven Mnuchin, President-elect Donald Trump's nominee for treasury secretary, has a record of aggressively foreclosing on these homeowners, according to some borrowers and fair housing advocates. The practice is known as a "widow foreclosure," and it was far more common at Mnuchin's bank than at other lenders, according to housing rights advocates. In addition, the bank allegedly pushed vulnerable borrowers into loans they didn't need and created obstacles to prevent families from repaying loans, which then forced homes into foreclosure and generated huge bank fees. The bank even started one foreclosure over an unpaid bill for 27 cents, according to allegations raised by surviving partners, their relatives and advisers. 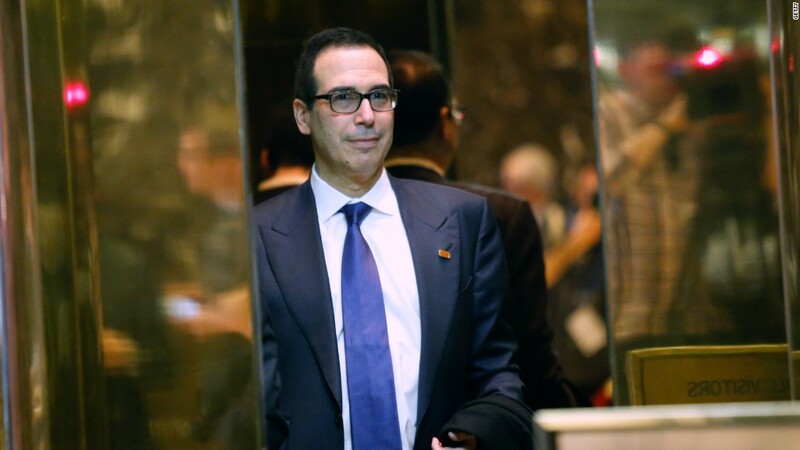 Those stories are likely to come up when Mnuchin goes before the Senate for confirmation. Senator Elizabeth Warren, the Massachusetts Democrat, has led the attack. "Steven Mnuchin is the Forrest Gump of the financial crisis," she said shortly after he was announced as Trump's pick, adding that he was there for all of Wall Street's worst moments during that time. In 2009, just after the financial crisis, Mnuchin formed a bank called OneWest to buy the remains of IndyMac, a failed subprime lender, from the FDIC for pennies on the dollar. Financial Freedom, a reverse mortgage lender, came with the purchase. During the first six years Mnuchin ran the bank, Financial Freedom foreclosed on more than 16,000 reverse mortgages, according to records obtained under the Freedom of Information Act by the public interest group California Reinvestment Coalition. That accounted for almost 40% of all government-guaranteed reverse mortgage foreclosures, and more than twice what a lender of Financial Freedom's size should have produced, according to the interest group. Karen Hunziker, left, and Dorothy and Robert Merrill, all say that Financial Freedom tried to foreclose on their homes after they took out reverse mortgages. "By far, Financial Freedom is the absolute worst," said Sandy Jolley, a financial counselor who works with reverse mortgage borrowers and families who are fighting foreclosure. Most of the complaints about Financial Freedom's practices came after Mnuchin started running the bank. Financial Freedom stopped issuing reverse mortgages in 2011, but it still services about $13 billion worth of them. The bank recently disclosed that it has $7 billion in reverse mortgages in the foreclosure process. OneWest was sold to CIT in 2015 for $3.4 billion. CIT (CIT) has since disclosed it is under federal investigation for Financial Freedom's reverse mortgage practices, and has set aside hundreds of millions to pay anticipated fines and restitution to borrowers and their families. Meanwhile, through lawsuits and a 2015 hearing by bank regulators on CIT's proposed purchase of OneWest, stories have emerged of Financial Freedom's foreclosures against elderly homeowners. In a reverse mortgage, a borrower age 62 or older opens a loan and gets cash or a line of credit, using the home as collateral. Virtually all reverse mortgages are backed by the federal government, which gives borrowers a sense of safety and puts taxpayers on the hook for any losses that may occur. When the owners leave the home, either because they die or because they move out, often to a nursing home, the loan comes due. That includes both the principal and the interest that has accumulated. At that point, the heirs are supposed to get the chance to either pay off the loan and keep the home, or to sell the house and raise the money to repay the loan. A private sale typically commands a higher price, which means more money for the heirs after the loan is repaid. Foreclosures, which sell the home at auction to pay off the loan, are supposed to be a last resort. But Financial Freedom is accused of pushing foreclosures aggressively in order to pocket large fees while at the same time collecting the loan balance. If the amount of the loan, interest and fees all add up to more than what the home sells for at auction, then the federal guarantee kicks in and taxpayers are forced to pay for the difference. Some widows and widowers can be foreclosed on when their spouses die if their names aren't on the loan. That happens often, because the borrower in a reverse mortgage has to be at least 62 years old. When only one partner is 62, the younger partner will sometimes agree to have his or her name removed from the home's title so the older partner can obtain the reverse mortgage. At the 2015 hearing, some spouses said they were promised their name would be added back to the title and to the loan when they turned 62, only to discover that was not the case. That's what Karen Hunziker, who lived with her husband in Pollock Pines, California, testified happened to her. 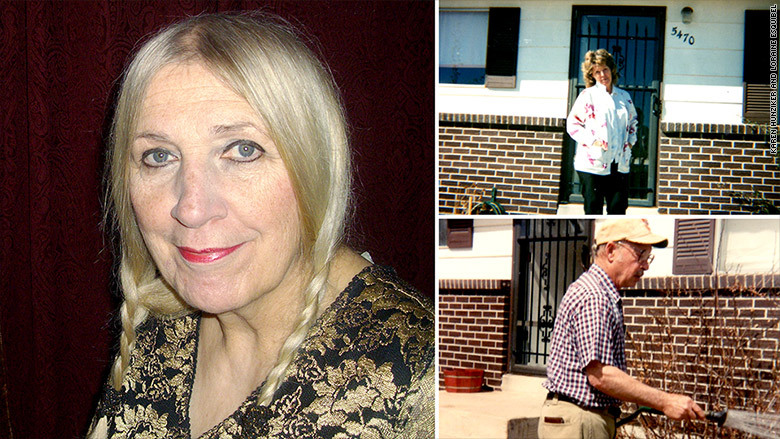 She says she was 60 when her husband took out a reverse mortgage from Financial Freedom. She said they were both worried that she would lose her property rights, but were assured by a salesperson that she would be protected until she turned 62. When she turned 62, the couple discovered they could not put Hunziker on the title without first paying off the loan, which they could not afford to do. Her husband died soon after she turned 62. "OneWest claimed I had less rights than other heirs because I'm a non-borrowing spouse," she testified at the 2015 hearing. "My story illustrates the consistent pattern of OneWest Bank to aggressively foreclose and evict non-borrowing spouses from their home." She fought the foreclosure. After she testified, Financial Freedom relented and allowed her to remain in the home. Borrowers in reverse mortgages are still responsible for paying for homeowners insurance and property taxes. Financial Freedom has been accused of moving rapidly to foreclose for even the smallest of shortfalls in those bills. Ossie Lofton was 90 years old and had lived in her Florida home for 40 years when she came up 27 cents short on an insurance payment due to confusion about how much she owed. Financial Freedom tried to foreclose. A lawsuit filed by a legal aid attorney kept her in her home. Financial Freedom also tried to foreclose on owners after sending a letter asking the resident to prove he or she still lived in their home, according to Lofton's lawyer Lynn Drysdale, who has handled other cases against Financial Freedom. Elderly homeowners often would not return the paperwork because they were concerned about scams. Financial Freedom would use that as the basis to start foreclosure proceedings, she said. The bank has moved ahead with some foreclosures even after sending a representative to serve a notice of foreclosure and finding the borrower living in the home, Drysdale said. Complaints about Financial Freedom weren't limited to foreclosures. Family members say their parents were given loans they didn't need. Julie Cheney of Simi Valley, California, testified that her parents were sold a reverse mortgage even though they were in no condition, mentally or physically, to make such a decision. When the loan was signed, her father was in the last month of his life, with terminal cancer and on narcotic pain medication. Her mother had Alzheimer's disease and "was unable to complete a sentence." After her father's death, Cheney testified in 2015, family members found the full $80,000 he had borrowed from Financial Freedom sitting untouched in a bank account. She said they tried to repay the loan, but Financial Freedom refused to accept the money, and instead moved to foreclose and auction the home. That meant the family had to pay a bunch of extra fees to Financial Freedom, and the home was sold at auction, which left a lot less money to care for Cheney's mother. Jolley, the financial counselor, said Financial Freedom frequently accelerates foreclosures, rather than letting families pay off loans. She said that raised the fees the bank could collect on the loan, and left less money for the borrowers' heirs. Loraine Esquibel told CNNMoney that she fought for 14 months to buy her parents' home in Colorado Springs, Colorado. "I purchased the home for more than it was worth. But it was my childhood home. I didn't want to let it fall into foreclosure and disrepair," she said. "It was the only thing left in our family. My parents were destitute." CIT declined comment for this story. At the hearing on its purchase of OneWest, Joseph Otting, then the CEO of OneWest, defended the reverse mortgage practices. "In our view, the vast majority of criticisms of our servicing practices are really criticisms of the regulations governing how we are required to service [government]-insured reverse mortgages," he said. "In large part we share the frustrations of those who criticize the outcomes." Jolley and other housing advocates dispute that. They say other lenders don't have the record of complaints that Financial Freedom does. Mnuchin became a board member of CIT after the purchase was approved. He resigned that position earlier this month after Trump selected him for Treasury secretary. Neither the Trump transition team nor Mnuchin responded to requests for comment. CIT had already disclosed in public filings that, because of the reverse mortgage program at Financial Freedom, it is facing an investigation by the Department of Housing and Urban Development, which includes the housing agency that insured the loans. CIT took a $163 million charge against its earnings due to the anticipated costs of a settlement. It has set aside about $500 million to settle disputes with borrowers and their families. Carol Hayles, CIT's chief financial officer, told investors on a recent conference call that the bank has invested significant time and money reviewing its guidelines and updating its policies. "We are very disappointed with these developments, but have made good progress implementing enhancements that strengthen the operations and controls," she said.